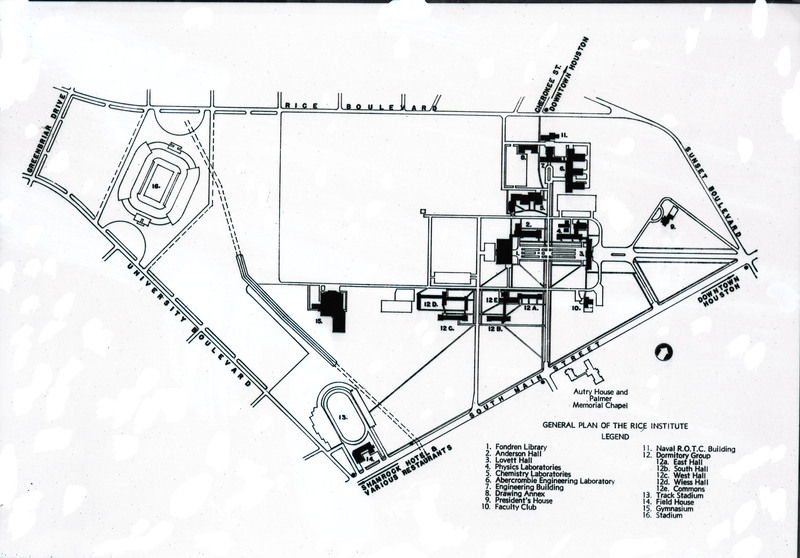 This little map is quite easy to date–because it shows both the old and the new stadium as well as both the old and the new gym! I’ve never seen anything like it before and it has to be 1950. 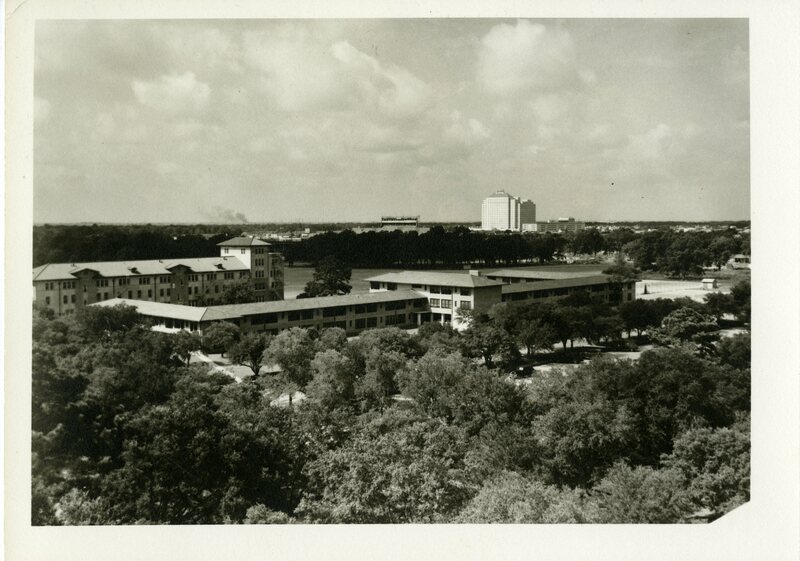 I was already suspicious because I found it in a folder anachronistically labeled “Hanszen and Wiess Colleges, 1950” so I looked at it very closely. I believe the date is probably also wrong, possibly being a stamp of the date it was received somewhere rather than when it was taken. (It was donated to the Woodson by Pender Turnbull, by the way.) The old stadium is still there, its top clearly visible out towards the Shamrock Hotel. But there’s obviously no new gym yet. If you look out past the tennis courts next to Wiess what you see is, I think, a glimpse of the old mule shed complex. So it might be late 1949 or very early 1950, but I’m pretty certain it couldn’t have been taken in November of 1950. 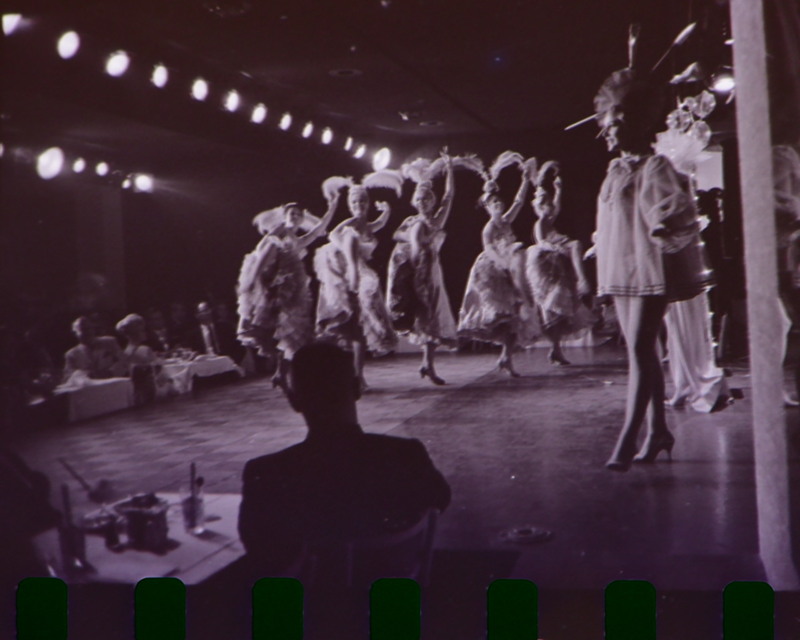 Bonus: Speaking of the Shamrock Hotel, I recently found this fuzzy picture of a floor show at the Cork Room in the Houston Post files at the HMRC. It looks pretty swanky. 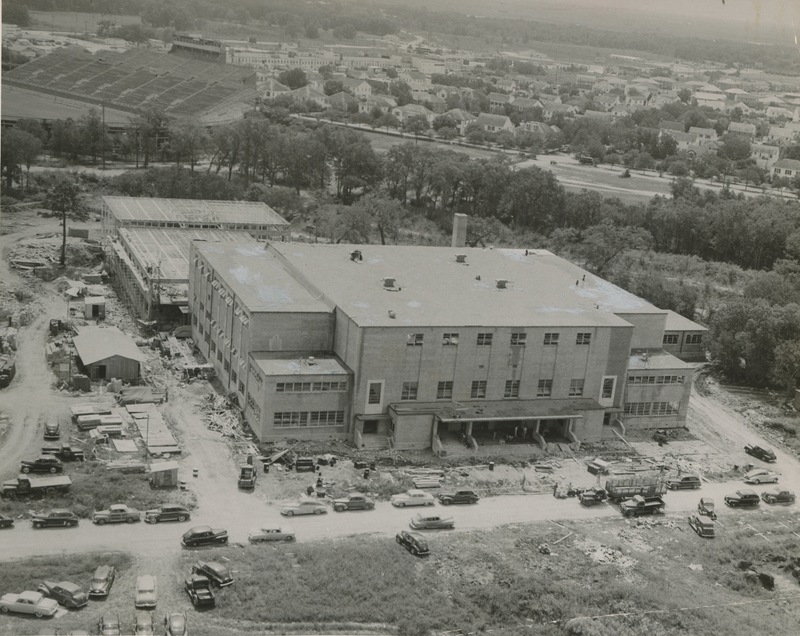 Here is when Weiss Hall was dedicated. Wiess Hall was dedicated late on a Sunday afternoon in the spring of 1950. I suppose it was there for a little while before the dedication.